This is a die-cut Kendall Motor Oil porcelain sign. This particular Kendall Motor Oil sign is shaped and colored like a red and white can of Kendall Motor Oil. 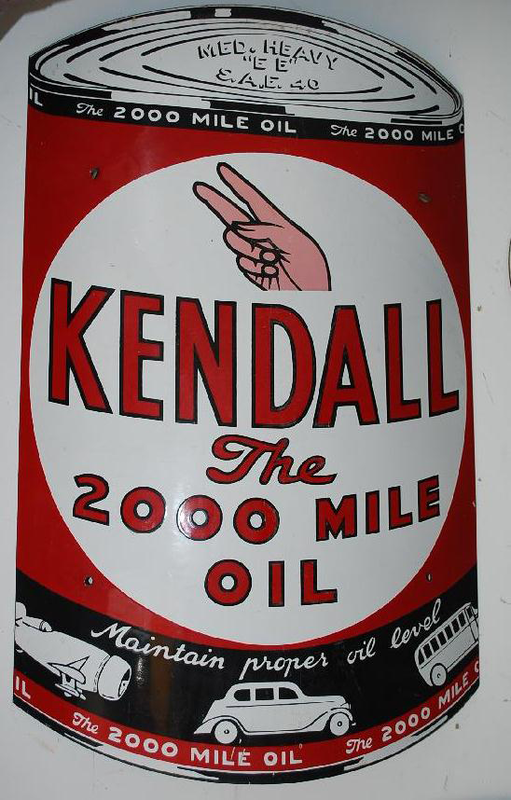 It reads, “Kendall, The 2000 Mile Oil, Maintain Proper Oil Level” and features a black banner with a plane, car, and bus at the bottom.